Why? An agent will take the time to learn your personal needs and identify risks. We want to make sure that your insurance actually protects you. 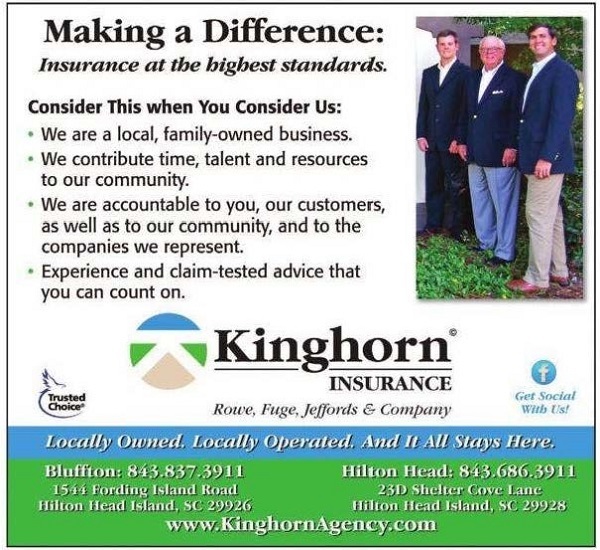 Kinghorn Insurance in Bluffton and Hilton Head Island, South Carolina is an independent insurance agency dedicated to finding you the comprehensive insurance coverage you need. Whether you need to protect your car and home, want personal insurance for the possessions in your apartment, or need a general umbrella policy for peace of mind, our Agents will provide you with outstanding service and the policies you need. We pride ourselves on finding affordable South Carolina personal insurance policies that protect your most important assets. We want to ensure that your insurance policies provide protection for your biggest concerns. If you don’t have personal insurance, or feel that you aren’t getting the protection you deserve, contact Kinghorn Insurance of Hilton Head Island or give us a call. Our goal is to protect our South Carolina clients against all of life’s unexpected twists and turns.